Check out the book teaser trailer! Ruth Wellborn is an educator, who lives in Saskatoon, Saskatchewan. Her first exposure to belugas and polar bears was in Churchill Manitoba, when as a university student, she worked for the Canadian National Railway.She was immediately captivated, and has maintained that interest with many familial connections to the North. Her daughter, who lives in Yellowknife, encouraged the writing of this book. When not writing, she likes to create in the kitchen, her sewing room, and the workshop. Ruth and her husband happily share their home with two canine companions. Don't have an Amazon account? Leave your review in the contact form at the bottom of this site! 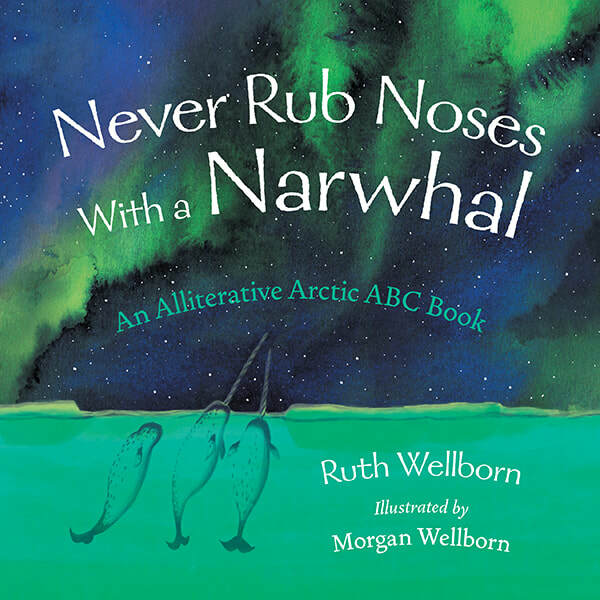 "This illustrated alphabet book by debut author Ruth Wellborn and debut illustrator Morgan Wellborn introduces readers to flora, fauna, people, and sights of the North American Arctic. Abecedarian children’s books are thick on the ground, but this one stands out for its unusual theme and unexpected vocabulary. For each letter (E and F plus X and Y are combined), the book provides a complete alliterative sentence that refers to the nature and culture of the four North American Arctic regions: Alaska, the Yukon, the Northwest Territories, and Nunavut. ... Full-color, nicely detailed illustrations show each element of the sentence in realistic, not cartoonish detail, making this book an excellent learning tool as well as beautiful." "This is a great book for children. There is lots of interesting information and the illustrations are fantastic.​"
"The cover hooked me! What beautiful art. My daughters were fascinated by fun alliteration and I enjoyed the cuddles. A definite keeper." "Great children's book, I was totally amazed at the facts I learned about the Canadian North that were never taught in school. Book should be in all school libraries. Well wrote and illustrated."